For nearly 40 years, the Future of Education Technology Conference has gathered the most dynamic and creative education professionals from around the world for an intensive, highly collaborative exploration of new technologies, best practices and pressing issues. Its impact has been felt by thousands of districts, schools, educators — and ultimately students. Each year, FETC is tailored to the needs of an increasingly technology-driven education community — and 2019 will be no exception. The 39th National Future of Education Technology Conference features industry experts and unrivaled agenda content, an Expo Hall filled with the latest and greatest solutions, and a community of thousands eager to network with like-minded peers. School and district administrators, classroom teachers and IT professionals attend FETC year after year to find the professional learning and technology solutions to transform learning in and out of the classroom. AmpliVox Sound Systems has what you need for evolving educational technology. 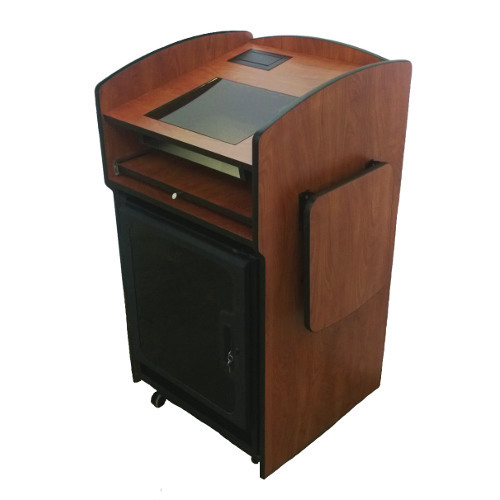 AmpliVox’s state of the art portable sound systems and multimedia lecterns provide powerful audio visual support for educational environments. We even offer collaboration furniture to promote group interaction. 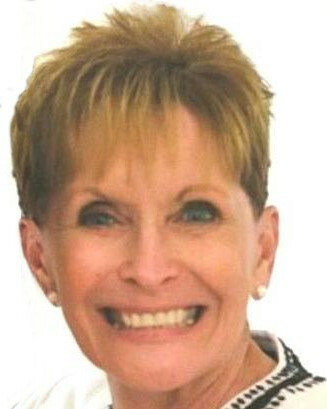 It’s part of AmpliVox’s long commitment to the education market with steady development of innovative products. Our Dual Audio Pal packs 50 watts of power into a 6 lbs. package, reach up to 300 people with crystal clear sound. Plus you can have 3 simultaneous presenters: two with included wireless mics and the third with an optional wired mic. Staying ahead of the technology curve also means state of the art multimedia lecterns like the Oracle Podium. It accommodates all the latest presentation technology and has a viewport window for a computer monitor. This model of the Oracle provides rack rails for mounting components inside. 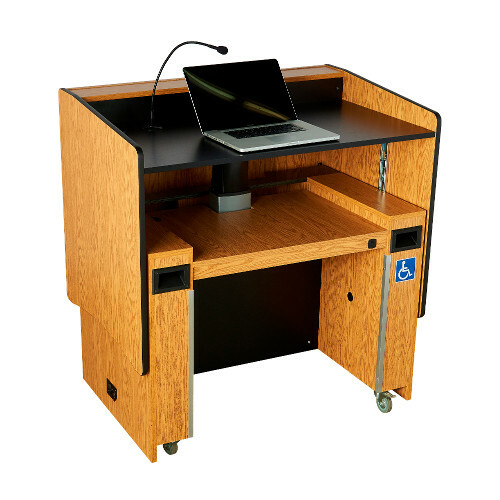 Schools must be mindful ADA requirements and that’s why products like the AmpliVox ADA Sit To Stand Lectern are great. 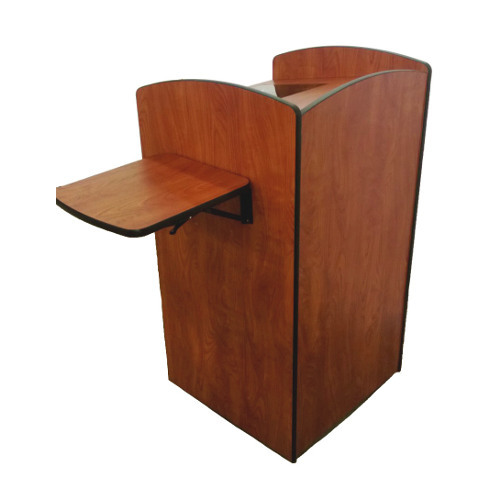 It can be used in a seated position or raised to full standing height with a push of a button. 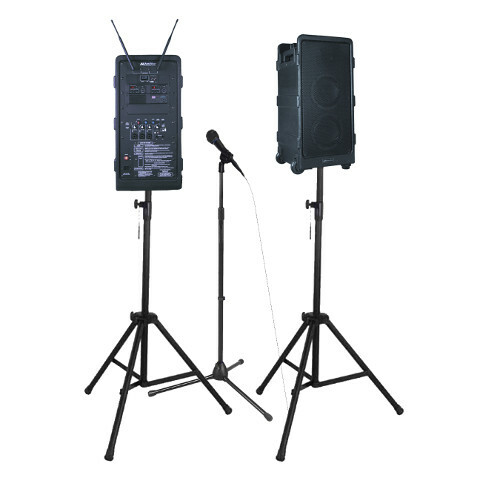 Built with durable construction, it offers you the option of adding a PA system. 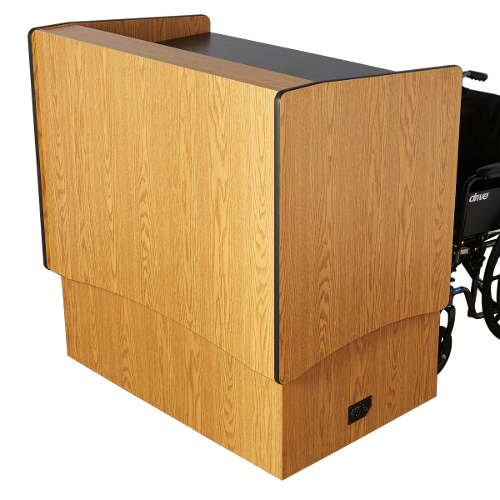 Or select the more economically Contemporary ADA Lectern, it too raises from sitting to standing position with a motorized lift. Another ADA compliant product is the Collaboration Huddle Table, it can accommodate up to six people and has built in Ethernet port, two USB charging ports, and two AC outlets. It is available with an optional flat panel monitor bracket. Want to reach 7500 hundred people with clear, rich sound? Get the AmpliVox Digital Audio Travel Partner Plus. 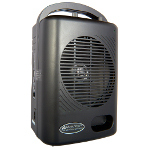 This 250 watt portable system has all the power you need for any venue. It’s loaded with features such as battery powered operation, built-in media player, Bluetooth connectivity, 16 channel wireless receiver, wireless and wired mics. To expand the capabilities of this product, consider one of the SW925 bundles. You can add such components as Companion speaker, mic stand, and Tripods for the main unit and companion speaker. Educational presentations can be enhanced with the beauty of an AmpliVox Acrylic Lectern. The SN3075 Series can be easily assembled or disassembled in minutes for easy setup and transport. It can be shipped in a sturdy carry case that meets the standards of the Air Transport Association. 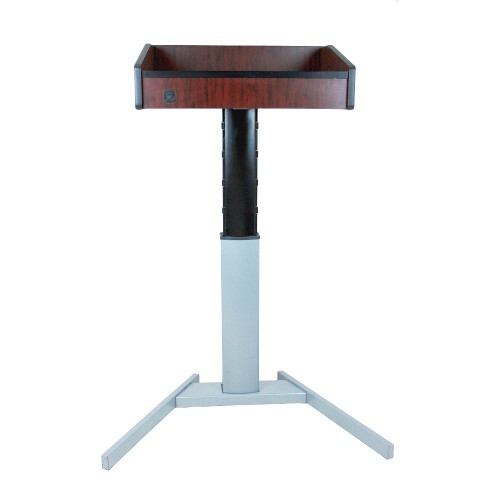 We can even put your logo on your AmpliVox lectern. 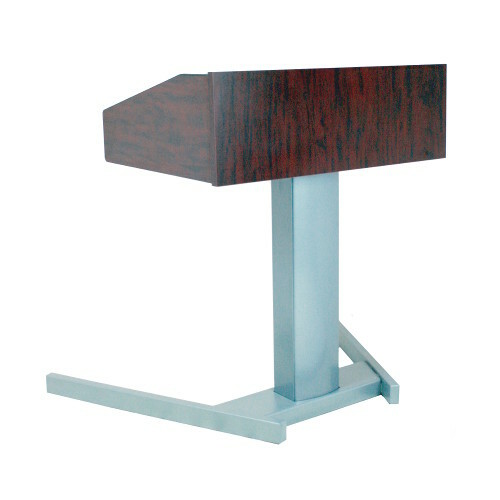 The Executive Sound Column Lectern fits well in any decor with its modern styling and easily glides from room to room on 4 easy-glide casters. Optional Sound System Fills the room with rich sound making sure your message is heard loud and clear. Equipped with a powerful 100 watt amplifier, wired handheld mic with your choice of wireless microphone, and a luggage handle with wheels. You can also play your music with the built-in CD player, USB Flash Drive input, or through the SD slot. The AmpliVox SW725 is a powerful all-in-one PA system that puts you in command of your presentation for voice or music with all types of supporting media. It can play audio files stored on any USB flash thumb drive or SD card or stream music from a Bluetooth® enabled device such as a smartphone or computer. The SW725 six inch full range speaker and 36 watt amp projects crystal clear sound to audiences of up to 500 people in rooms as large as 2,500 square feet. 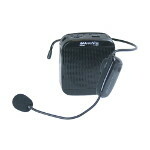 Small, compact speaker fits insIde the included belt carrying case with 2.4 GHz Wireless Microphone Headset. Built-in Mini SD/USB/Aux Ports allow you to play music, recorded presentations or other media directly from unit. A new addition to the popular AmpliVox Half Mile Hailer product line, featuring an upgraded appearance for indoor or outdoor use with an attractive weatherproof enclosed housing and greatly enhanced sound fidelity and coverage. The AmpliVox Mega Hailer Mobile PA System is a 50-watt, totally wireless, highly intelligible, lightweight battery powered loudspeaker system for general PA applications in areas that are not equipped with a PA.